It’s been about 18 months since we announced the experimental WordCamp Incubator program, so we wanted to give a long-term review of the results of the program. We announced the program and opened applications on February 18, 2016. We received 182 applications for this program. Interesting data on that application list: We received applications from 39 locations that did not have an active meetup groups. We responded to applicants in those locations with an invitation to start their own WordPress meetup groups, with minimal results. Three of the locations that we heard from, however, did get a meetup started in 2016 — Cardiff, Wales; Madison, Wisconsin, USA; and Monterrey, California, USA — but not by the people who applied for the incubator program. From the short list of 16 candidate communities which we announced in April, we selected 3 incubator sites in May of 2016: Denpasar, Indonesia; Harare, Zimbabwe; and Medellín, Colombia. In the comments, we’ll provide a report on how the each of the WordPress communities in our three incubator locations has developed, since their WordCamps were held. Then in another post, we’ll discuss what it would look like to continue this program. I mentored and worked with the Harare, Zimbabwe Incubator, so here’s some info on how things played out there. The applicant for the Harare Incubator (and the lead organiser for the meetup group and WordCamp) was/is Thabo Tswana. We started the meetup group on 2 June 2016 with a view to holding their first WordCamp near the end of the year. WordCamp Harare 2016 was held on 10 December and we had 42 attendees. In the 6 months between the meetup group starting and the WordCamp happening, the meetup group grew to 77 members strong. Now, 6 months later, the meetup group has doubled to the size of 154 members. The meetup group meets every single month. WordCamp Harare 2017 is scheduled for 4 November and is expecting 75 attendees. Thabo is leading the WordCamp organising team again this year and he is working with someone else on the team to potentially take over the lead role next year. No other WordPress communities have been started in Zimbabwe, but I have a fair amount of anecdotal evidence about how the Harare meetup group has inspired some of the other African meetup groups that have started up in the last few months. Here’s a more thorough recap of the Harare Incubator experience posted shortly after last year’s WordCamp. I also recommend that you watch Thabo’s lightning talk from WordCamp Europe a few weeks ago, where he spoke about the Harare community and how the Incubator programme made such a difference to them. We are so grateful for the Incubator program! I honestly believe that, had it not been for this program, no one in Zimbabwe would have thought about organizing a WordCamp! Most WordPress users in Zimbabwe did not even know about WordCamps before Harare was selected to be an incubator. Now, we have a growing WordPress Community. I heard talk in our Whatsapp group about some WordPress users wanting to start a meetup group in Bulawayo, Zimbabwe’s second largest city. And even more awesome than that, a gentleman named Takunda Chingonzoh is supposed to be contacting me to find out how they can host a WordCamp in Bulawayo. I believe the WordCamp Incubator program was a success, not only for Harare but for Zimbabwe as a whole! I hope the Community Team continues this wonderful on-boarding initiative. As part of the Incubator program, the WordPress Meetup group was founded on June 2nd, 2016 and has organized 24 Meetups since then and there are 167 members today. I joined the organizing team of WordCamp Denpasar 2016 and we ended up with a team of 7 people from Jakarta, Ubud and Denpasar. – Bali: Founded June 2, 2016. 167 new members and 24 events until today. – Bekasi: Founded Dec. 13, 2016. 81 new members and 3 events organized. – Surabaya: Founded Feb. 23, 2017. 201 new members and 3 events since then. – Yogyakarta: Founded May 11, 2017. 193 new members and 1 event so far. The previously dormant WP Meetup of Jakarta has now new organizers who have re-activated the group, joined the chapter program and are active in monthly basis. WordCamp Jakarta 2017 is in pre-planning status right now and it will be the first WordCamp held in Jakarta since 2013. The local community re-activated the rosseta site of the Indonesian locale with info and showcase in Indonesian, have created a Facebook page and a Indonesian Slack listing all the active WP Meetup groups and a link to the new WP Indonesia Slack to connect the whole local community in the country. I was one of the organizer team in WC Denpasar. All I can say the event was a big success and and most of all the impact after that as mention in the report. Rocio’s role in mentoring us held a big part of the success. Thank you Rocio! Since the WC Denpasar, the WP communities in Indonesia is starting to reactivated and growing. 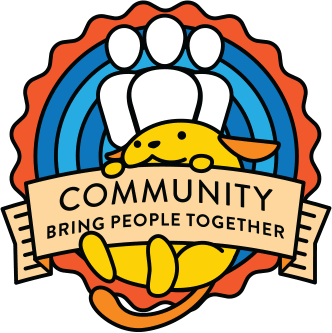 But it won’t stop here, we need to have at least 2 WordCamps a year in Indonesia to keep the communities growing and solid. For me as one of the co-organisers the WordCamp Denpasar 2016 was a huge success. Initially we were aiming for 100 attendees and assumed that the majority of attendees would be foreigners. To our surprise we had more than 160 attendees, from which 90% Indonesians. Even now, almost 9 month later, I sometimes hear people speaking about that WordCamp. We also meet many new friends and some of them even started organising WordPress Meetups in the souther part of Bali. Furthermore, the WordCamp Ubud 2017 was a direct result of the WordCamp Denpasar 2016. I’m thankful of being a member of this great community and I’m happy to see how the WordPress community had been grown since then. I also have to mention what a fantastic job Rocio did. Her guidance, tips and tricks were priceless to us. No matter what issue we were facing, Rocio always had the proper answer for us. Medellín was chosen as a WordCamp incubator community in May of 2016, and I worked with the local community leadership there as mentor and lead organizer. The lead organizer of the local meetup, Jason Crawford, was not actually the person who applied to the incubator program. However, when we talked to him about the possibility of having an incubator event in Medellín, he was interested in trying. The local group had 177 members at that time, and didn’t meet very regularly. Once announced the incubator program would come to Medellín, and the meetup group joined into the chapter account, the group started having very informal monthly meetings again. Between the incubator program being announced and WordCamp Medellín, the meetup grew to 323 members! The organizing team was small, and out-of-town help outnumbered organizers from Medellin. Jason Crawford, Johana Sevillano and Jhoana Ronceria Alba were the Medellín resident organizers, and out-of-town organizers included Andrés Cifuentes (living in Spain, but originally from Colombia), me (USA), Samantha Hare (Peru), and Diego Escalante Urrelo (Peru). All of our non-resident organizers were experienced WordCamp organizers. None of the Medellín resident organizers had ever attended a WordCamp before. The event itself was a great success — we sold out at 100 tickets, and had a turnout of nearly 100%. Since our venue was free, and we had lunch at the school cafeteria, the event was also very inexpensive! Total expenses associated with the event came to 761.46 USD, or $2,317,920 COP. Finding local speakers was a real challenge. The event included 8 speakers: 4 from out of the country and 4 Medellín residents. The event was live-streamed (for free! ), and well attended by students of the Tecnológico de Antioquia. Karen Arnold and Mike Schroeder very kindly agreed to speak at a tech event that the Tecnológico was organizing for its students, the day before WordCamp, as well. The Tecnológico de Antioquia expressed a lot of interest in hosting another WordCamp in the future. WordCamp Medellín was attended by WP enthusiasts from all over Colombia, and there was a lot of discussion at the event about how all the Colombian communities could support each other and grow, as well as the employment opportunities that the WordPress ecosystem could bring to Colombia. All of the above groups have met at least once in the past 3 months. Bogota has a WordCamp scheduled for September 9, 2017. And Andrés Cifuentes commented, “Basically, WordCamp Medellin started a community in Colombia. After that WordCamp, a lot of inactive meetups came back to life again. For example, Barranquilla which has a monthly meeting, Medellin every two months and Bogota will have a WC in September.Also, different organizers from different cities are connected now. We have had 3-4 national (online) meetings where we discuss our issues, progress, plans, and goals.